Built to withstand chewing, gnawing, or the wear and tear of even the most busy pet shop. 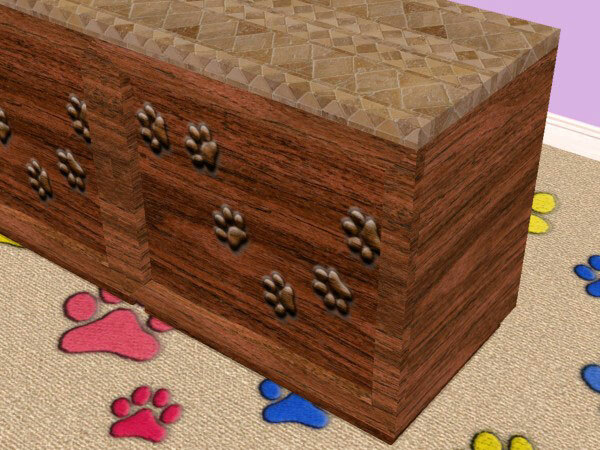 Simple lines reduce the time it takes to clean up those unfortunate accidents that excited pets can have on adoption day. These counters will give you plenty of service for a small price tag, resists staining and chipping as well. 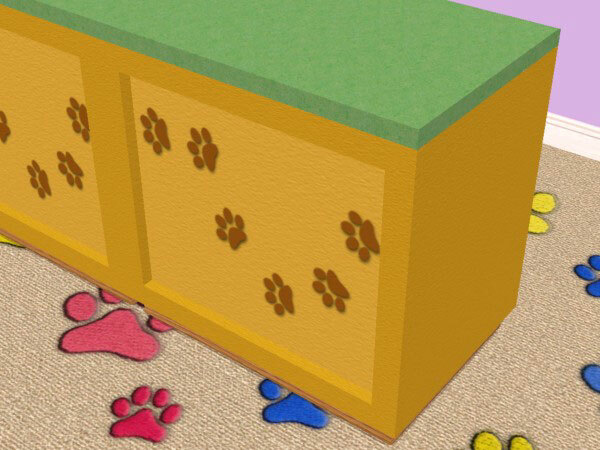 Eye-catching colors combined with a simple paw print design. Simple, effective, affordable. 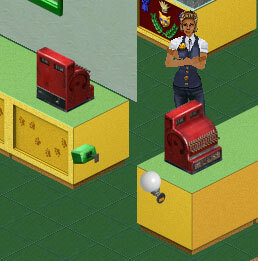 None of the Sims 1 pet stores would have been complete without this counter, or at least that’s what Maxis thought. 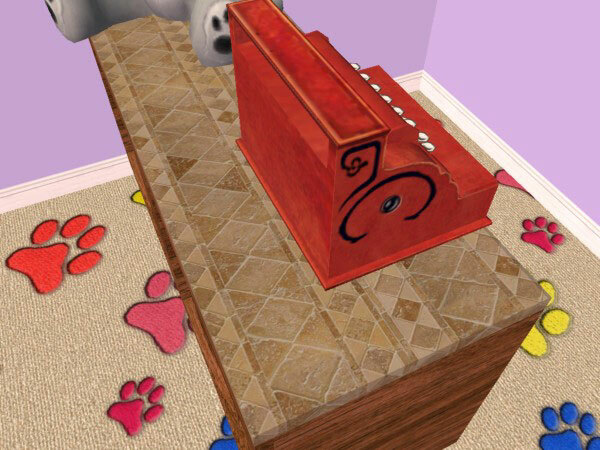 I had grown so used to seeing this in all my pet shops that Sims 2 needed it as well. I simply can’t wait for Pets to be out, so this is my little contribution to ease the wait just a bit. Who says you have to wait to start building your adoption centers? This was cloned from one of the commercial counters so it will not work like the kitchen counters. Pretty much you can’t cook on them. The Counter is base game compatible as well as color enabled! Lots: My meshes can be uploaded to lots on Mod as long as proper credit (and a link here would be nice) are given. Do NOT upload my objects on lots being posted to other sites, unless permission is given, the Exchange or pay sites are not allowed. And as always, let me know! I want to see your wonderful work as well! Meshes: Do NOT clone my meshes, do NOT post my meshes on other sites, free or otherwise, most especially not on the Exchange! (it’s not hard to register on Mod.) 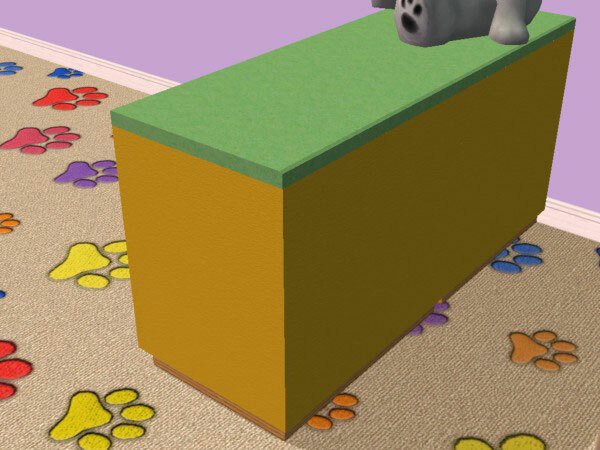 A lot of time and hard work went into the creation of the meshes, and I’d like people to know where to look if I ever update them or add more, similar things in a set. It’s easier to post a link than it is to steal someone’s work. 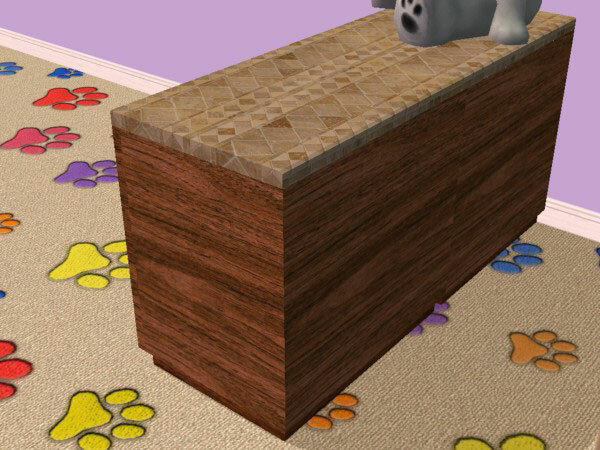 If you really, really, really want to use part of a mesh I have made, contact me. Depending on what alterations/additions/subtractions/etc. would be desired, a compromise may be allowed. This is not a guarantee however, there must be enough change to the mesh to make it into a noticeably different object. The sole reason for posting my work on Mod is to give back to the wonderful community that has already given me so much. 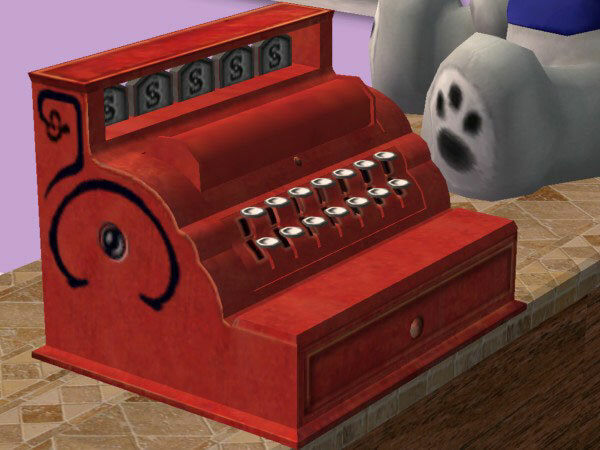 Side note for Sims 1 fans: I am slowly working towards converting more Sims 1 objects over to Sims 2 (whatever I really miss or strikes my fancy) so keep an eye out!